California saw a similar financial benefit when it ran a statewide amnesty program from October 2015 to April 2017. The Judicial Council of California reported that over a quarter of a million cases were resolved via payment plans, creating a $45.1 million windfall. Santa Rosa officials say they will continue to withhold records detailing past misconduct by city police officers, contending a decision by the state Supreme Court on a pending case was needed to clarify the extent to which such law enforcement personnel records can be made public. 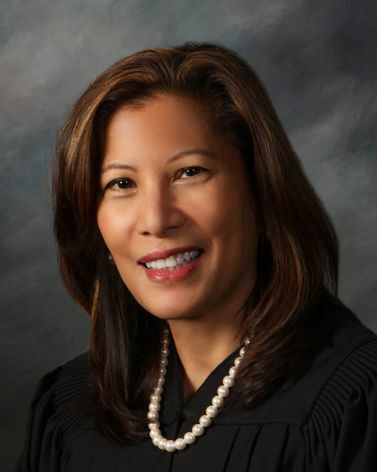 The California Supreme Court Committee on Judicial Ethics Opinions yesterday said it is seeking public input on its tentative formal opinion which declares that a judge should generally avoid searching the court case management system for information about a party or an attorney or facts relating to a case before the judicial officer. Last June, a state appeals court reinstated the End of Life Option Act. The court ruled that the law can remain in effect while the dispute makes its way through the legal system. The issue could wind up before the state Supreme Court. In People v. Aranda, the Supreme Court today holds that the California constitution’s double-jeopardy clause requires trial courts to accept a jury’s acquittal verdict on a charge even though the jury has hung on uncharged lesser included offenses. Accepting the partial verdict protects the defendant from being retried on the acquitted charge. California’s attorney general said Thursday that he won’t release older records on state law enforcement agents’ misconduct despite a recently released appeals court ruling that they are public documents. Roughly two-thirds of the state’s judges are white, while about 11 percent are Hispanic, 8 percent are Asian, and 8 percent are African-American. Furthermore, nearly 64 percent of judges are men, according to Judicial Council data. (Subscription required) That's the question the new governor faces after the 3rd District Court of Appeal ordered -- for the second time -- the state to repay money taken from a national mortgage settlement. (Subscription required) I fear that most of the current SCCLA members have no idea of the identity of its Founding Fathers, which include Judges Gilbert and Miller. It is time that they be recognized. Enough already. The California Court of Appeals has spoken. It’s time for state Attorney General Xavier Becerra to stop pandering to law enforcement unions and comply with a new police transparency law. A state appeals court ruled this week that California is wrong to hold on to $331 million from a nationwide bank settlement and use the the funds to pay off housing bonds. The money should instead go to homeowners harmed by foreclosures during the major recession a decade ago, the judges indicated. (Subscription required) A federal judge has tossed out a trucking association's lawsuit claiming last year's pivotal Dynamex decision on contractors versus employees is preempted by federal law because it affects the pricing of their services. Newsom has barely been in office for three months, but lawmakers and lobbyists are already asking his administration for new judgeships, more money to free up calendars for civil cases and an end to limits on the reserves that courts can keep. Superior Court judges around the state have generally disagreed with the unions. But in the first decision with broad impact, the First District Court of Appeal in San Francisco late Friday published an earlier two-page order in the Contra Costa case making all existing records available to the public. Editorial: Two courts have upheld California’s new police misconduct records law. When will it be enforced? The first major decision with broad impact arrived late on Friday, and the First District Court of Appeal in San Francisco made it clear in an order that all existing records must be made available to the public. The order is effective statewide and immediately, unless another appeals court intervenes or the state Supreme Court takes up the case. (Subscription required) After months of speculation, Supreme Court Justice Clarence Thomas squashed rumors of his retirement at the annual Pepperdine University School of Law dinner.